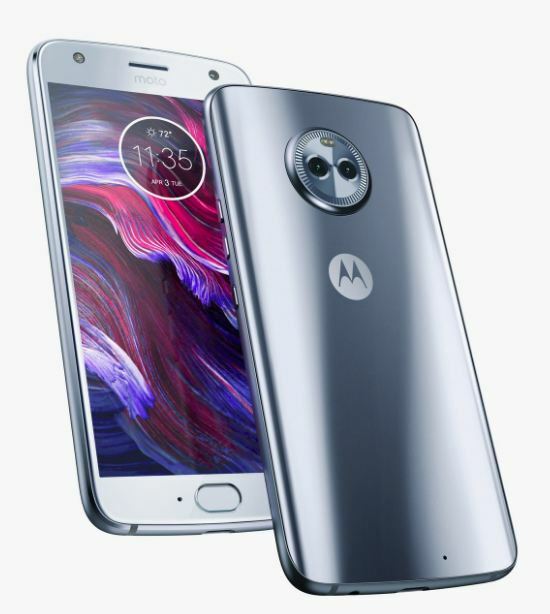 Double cameras are all the rage smart phones at the moment and also the Moto X4, Motorola is bringing this double camera experience in a cheaper package. We've already seen a dual-camera smartphone from Motorola with the Z2 Force, but, unlike the Z2 Force, the X4 comes with a second wideangle lens, where as the Z2 Force comes with a black sensor. The principal sensor is 1 2 mega pixels using an aperture of f/2.0 and the secondary is 8 mega pixels at f/2.2 with phase-detection autofocus. Regrettably, there isn't any optical image stabilization on either lens. The secondary wide angle lens being lower-resolution can be quite unfortunate as the difference in quality is readily evident, but this wide angle lens will permit more stunning landscape shots also for easily fitting larger groups of people into the framework. The wideangle lens of the X4 comes with a serious lot of stimulation across the borders, giving pictures a GoPro-esque look that might be a negative or positive according to who you are; I personally don't obey it. The X4 also leverages the secondary camera for a depth portrait or effect style as it's known on other rival smartphones and I like this Motorola's applications permits several interesting effects such as cropping outside the foreground and substituting the background or turning the desktop black and whitened to put more focus on the subject. The thickness effect nevertheless, doesn't work quite as efficiently as it can on many other smart phones whom I've tested. On the X4 the outcome have already been very unconvincing, with the blurring effect bleeding on the subjects. Even issues using sharp and distinct borders posed an issue. You are able to alter the blur after the truth, however this just mildly mitigates the problem. The greatest issue with the X4's camera is the fact that it's slow. It's slow to catch photos plus it has a great couple of seconds to switch between your 2 cameras. This issue is only further highlighted when shooting in lowlight. The other feature that I'm personally not really a fan of is that Motorola still uses tap to display that can cause a great deal of wild exposure swings based on the place you tap on the monitor. In good light, you're able to attain some fine effects, with true color reproduction. But the camera does have a problem with lively range, with the tendency to conquer darkness. Without OIS, the photos recorded in lowlight shortage sharpness, and white balance may be debatable, with pictures being yellow on either lens. High lights however are handled surprisingly well over the most important detector with no odd lens flares or prospering, however the identical thing can't be said for its wide angle lens. Needlessly to say, the wideangle lens performs much worse than the major detector in low light, as photos are on average noisier, softer and decreased quality generally. That's as a result of wide angle camera lower megapixel count and smaller aperture. Motorola has always been great about offering a thin and tidy software experience, with minimal to no bloat-ware to be in the way, and the X4 is no exception. It's running an essentially stock build of Android Nougat 7.1.1 with the typical Motorola suite of software tweaks such as the ambient display, the double click to show on the flashlight, wrist twist to establish the camera system, and many more. All of that provide some great usefulness in addition to the stock-like experience. As that is an Android One device, the Moto X4 is going to get timely applications updates, therefore it's highly possible that Oreo will be landing on the X4 relatively soon. ngulastekno is using Hatena Blog. Would you like to try it too?